I signed up for the Georgia Marathon almost a year before the race. Right after the 2010 race, they lost their sponsor (ING) and offered some incredible deals to go ahead and sign up for the 2011 event. I think I paid 25 bucks.........too good to pass up. Fast forward 11 months. Gee, I guess I gotta run this thing! You see, I haven't been running many road races. Actually, it'd been like 18 months since I had run a road marathon. 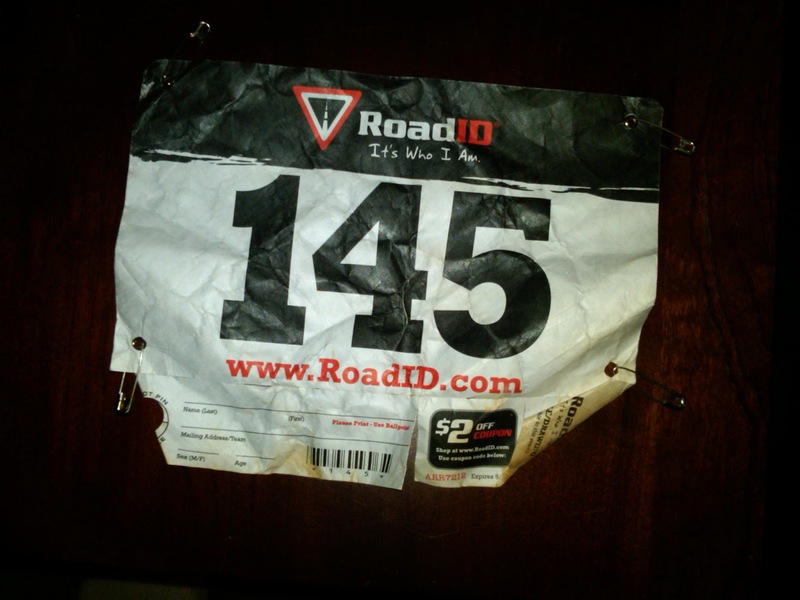 A few shorter distance races and lots of longer trail runs, but road marathons had kinda fell outta favor with me. The great thing about the location is that I can park at work and just walk 1/4 mile to the start. A perfect day to run.....mild temps and slightly overcast skys promised a fun day. I was equally excited to hear that Delane was going to come down and join me at the finish. Back to the learning thing; What was I thinking choosing racing flats for a 26.2 mile road marathon? I hadn't been training in them. I hadn't even been doing that much road running. I am used to running 4-5 hour races and feeling good enough to go for a recovery run the next day. I couldn't barely walk for 4 days after this thing! Those flats really put a hurtin' on me. As for the race; Excellent day for me. I really like this course! It isn't easy, but I like the changes in terrain (down, up flat) and the trip through the scenic areas of Atlanta are amazing. Very pleased with my time, however. 2:55:59, 10th OA, 2nd Masters. Even won some prize money.....a nice surprise! Could I have kept going? What did I do so wrong to have things go so bad? Do I ever even imagine I could attempt another 100 mile race? I can say with complete honesty......I was as mentally ready for this race as any other ever. I knew what the course was going to be like (muddy even without rain). And I knew for a week that the forecast called for some pretty strong rain and cool temps. Scared? Nope. Physically, I was pretty healthy of late. I've put in, for me, insane mileage this year....700+ in the first 8 weeks of the year. I'd missed a couple key 20+ mile runs that I'd planned, but I was not at all concerned. I'd lined up a A-Team of support. My wife was going to rough it out for the entire time. Nils Pedersen volunteered to pace me from 60-80. Matt Grund accepted my invite to take the late miles 80-100. Even my good friend Ron Steiger decided to come up and put in 40-53 with me. I've got some good friends and have to admit I'm a little bummed.......feel like I let them down. .....I dropped out at the 42.5 mile aid station. At the time, I had ZERO doubt it was the right choice. I was barely able to run 20 yards on flat terrain without stopping. Now I've run longer than that distance plenty of times. So for me, the mystery is; Why did my body (and with it my mind) shut down so dramatically? I am a reasonable fast runner and a pretty skinny guy. Why does this matter? Well, it starts to lead me to one theory on my demise. It was raining and high 40's at the start. My outfit of choice? A thin long sleeve, shorts, and my thinner mitts. No hat. No jacket. No thicker gloves. My strategy going into this run was to avoid my frequent tactic of going out really hard and hanging on for dear live. For me, it works in marathons and 50ks, but was gonna be a smart move for the hundo. So at gun-time, I went out easy.....for me. I ran in in first/second with Eric Gilbertson (the eventual 50M winner) from Auburn for the first 20 miles. It felt easy. I wasn't working hard. But the hint of trouble to come might have been that I was feeling cold. I came through the start/finish at 13 miles and told Nils I was cold and to get me some hand warmers ready after I returned from the 7 mile loop. He asked me if I wanted to stop and change clothes. I mean, I had a huge inventory of high-end running gear in my drop bag. I declined the offer.......no since in stopping for an extended stay this early. The next 7 miles the rain lightened up and the temps warmed a bit. I blew threw the start/finish again declining the offer of clothes and only grabbing the hand warmers. The next 13 miles were the beginning of my demise. I got really really cold. I was wet. It was 50 degrees. I was running through rivers of water and mud on the trails. I was chilled to the bone. I stumbled into the aid station after 33 miles in a pretty bad way. I'm used to running hard and generating body heat. Delane and Nils took one look at me and knew I needed some serious attention. A whole slew of the awesome GUTS people helped get me dry clothes, some warm soup, and about 25 minutes in front of the heater. Doc Shick came over and took my temperature......94 degrees. He said I wasn't going anywhere till it got up to 98. By the time I warmed up, my mind said time to get back on the course, but my body was pretty much done. I took off for the 7 mile loop. My mind said let's roll but my body was toast. Ruined. I made it back to 40 and Ron was ready to roll with me. I really hoped I'd rally and I didn't want to let him down. In the course of the next 2.5 miles to aid station 1, I spent more time walking than running. The mind followed the body. About half way to the aid station I told Ron I was dropping. Was it hard to say? Nope. I was 100% confident there was no possible way I was going to make it another 60 miles much less 100. I made the declaration that I was dropping to the volunteers. It was surreal. I was not tired. I just couldn't move forward. I spent 15 minutes fueling, laughing, and declining offers of rides with the great AS1 volunteers. Then I told Ron it was time to head the short way back to the finish. We had some great conversation and laughed a bit while we mostly walked the 2.5 miles back to the finish. I wish I knew what happened. I was ready, mentally and physically. Was it getting so cold so early? Maybe. Was it something else? I wish I knew. Will I attempt another 100? Honestly, I don't know. I have, for a long time, had reasonable success in almost any distance. I might have found my weakness. But I've run much longer and never felt like this. So, there is a sparkle of hope. It was the cold, or a bad day, or the weather.....maybe. I feel great today. Legs are fine, mind is in a happy place. I'm really hoping the story of my first hundo is "to be continued.....". A huge thanks to the entire GUTS crew, my wife, friends, and a slew of other volunteers. 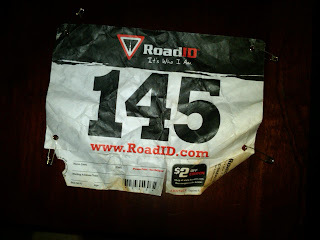 It was an absolute horrid day out and the race was still chock full of people to help. The course was a mess. I mean really really bad. The weather made a tough course almost impossible. But it wasn't impossible. There were some really hardy runners that braved the conditions for 30 hours and got their buckles. I wasn't stong enough yesterday, but I have no doubt I am that strong.